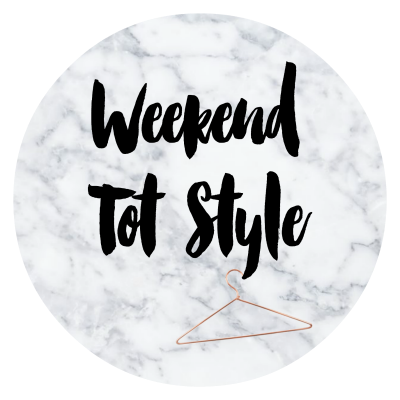 Welcome to post number 3 of more outfit posts of Penelope joining up with the #WeekendTotStyle linky. My daughters a fidget and is extremely hard to get to stand still for a second to take a picture but as your'll see I still got a some lovely photos regardless. I'm biased of course! How can any picture not be lovely when its your own kid! Has been rather relaxed, if you can call the dog chewing a whole into your sofa relaxed that is. Lets not dwell on the bad things though shall we. Penny went to the zoo with her dad and had a complete blast, she loves sitting on Reeses lap in the car going through the safari section. Shes shouts 'Beep! Beep!'. I had an unexpected day off so we had some extra mum and Penny time which was lovely. Penny got to spend an afternoon with her Nanny & Grandad and she was very much spoilt as she was treated to a 'Bullseye' (Toy Story Character) Toy. I have been filling up my planner like a mad women, creating adventures for the family, sorting projects for my channel and blog. All very exciting. I'm feeling pretty darn confident recently. I hope you all had a great week and that next week treats you even kinder. The tutus are so cute. I really need to get my little daughter one! Ah those tutus are just adorable! How cute. Beautiful. You can't beat a ballerina skirt on a little miss, too cute.